Susan Elliott, artist and designer of Pinyon Publishing’s newest publication, The Wilderness Poetry of Wu Xing by Peter Waldor, should get an award for the lovely cover design of this book! I always look forward to seeing Susan’s book covers and illustrations as they compare in excellence with the poetry and prose in the volumes that Pinyon produces. This is a book of brief tributes to Wu Xing and the natural world, written with the touch of a word watercolorist who quickly captures a walk in the wilderness where a “dream [is] gone/before the sleeper/awakes.” However, readers should savor and reflect on the verses to glean the wisdom and poetic tone of both Wu Xing living in his Asian wilderness and Peter Waldor struggling in his present-day wilderness. Readers will find both wisdom and whimsicality in the lyrics of Peter Waldor and will be inspired to seek their own places where “in the valley the artists/must be painting cherry blossoms again…where Nature’s rasp never stops/ rounding the edge.” This poet’s perceptive eye and deeply meditative mind introduce poetry lovers to a voice that brings welcome revelations about the beauty of the natural world and about living in the Now. Pinyon’s editor and publisher, Gary Entsminger, publishes a variety of award-winning poets and writers, and Waldor is among this tribe –he was a finalist for the 2009 National Jewish Book Award. His work has been featured in numerous literary journals, including The American Poetry Review, Ploughshares, the Iowa Review, Pinyon Review, Colorado Review, and other poetry publications. He works in the insurance business and lives in northern New Jersey and Telluride, Colorado. 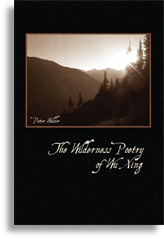 The Wilderness Poetry of Wu Xing can be ordered from Pinyon Publishing, 23847 V66 Trail, Montrose, Colorado 81403. The first summer we set out for Asheville, North Carolina, a friend told me that we were embarking on a busman’s holiday–after all, The Mountain here at Sewanee is 2,000 feet, and we enjoy the same type of scenery in Tennessee. What she didn’t understand was that we needed a “shot of the city” and its culture after living four months in a village of 2,000 people. For writers who need stimulus, Asheville offers the best of mountain destinations. In 2010 and 2011, The American Style Magazine named Asheville among ten top artists’ destinations, and in 2010, the city claimed the top place on this list. Our first visit to the River Arts District in Asheville confirmed that report, and our visual senses were treated to a plethora of unique art work in ceramics, fiber, glass, jewelry, metal, paint, prints, photography, stone, and wood. For four years we’ve haunted the district where 175 artists display their work in 24 different historic buildings, most of which are warehouse type studios where artists engage visitors while they work at their craft. Many of the artists have been drawn to and inspired by the Blue Ridge Mountain landscape, which is represented in paintings, sculptures, and photographs. We wandered into the studio of Constance Williams, an expressionist encaustic painter whose work fascinated me, and within five minutes, the artist and I had connected–as poets and artists often do. Constance, eager to instruct us about the encaustic process, gave us a short course on the luminous art pieces in her studio, explaining that she uses hot fluid paint, a blow torch, and fireproof tools to create conceptual pieces that appear to have captured her subconscious for a complex, poetic effect. Constance is originally from Somerset, England and dropped out of a course in advanced art because she wanted to veer off course and try new approaches to art. She moved to London, and later migrated to the U.S. where she found her way to the mountains of North Carolina in 2004, working on clay sculpture, then began rendering encaustic paintings. 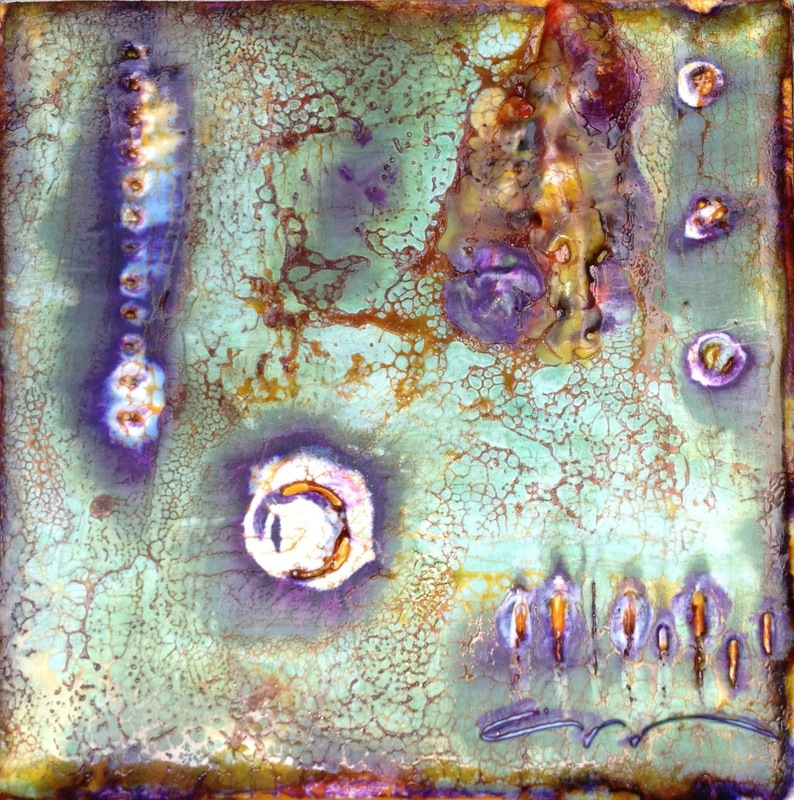 As she had a background of working with clay and knowledge of firing glazes and stains multiple times, encaustic painting was a natural medium for her. She uses a blowtorch to fuse and work on dozens of layers of wax, damar tree resin and pigment, and a brush on birch wood substrates, to achieve an impression of reflecting light out to the viewer from translucent layers. She moves the blowtorch flame continually and manipulates carving and incising tools to create arresting designs. The technique of encaustic painting was used in Fayum mummy portraits in Egypt in 100-300 A.D., and the word “encaustic” derives from the Greek word “enkalen,” meaning “to “burn into.” Encaustic artists painted on walls and statues, even hulls of ships to waterproof them and to enhance the ships with artistic design. During the 17th century encaustic painting became a popular medium for the indigenous tribe of Samar Island. Also, during the muralism movement in Mexico, Diego Rivera sometimes used encaustic techniques in his paintings. The technique has burgeoned since the 1990’s, and Constance is among the top artists working in this medium. Her artist’s statement is a simple one: “Inspiration always exists for me, and it finds me working every day…to create a tactile and emotional response, to open the mind to a world beyond the obvious…” A conversation with her is an adventure in learning about incising, scraping, burning, making luminous sensual effects. 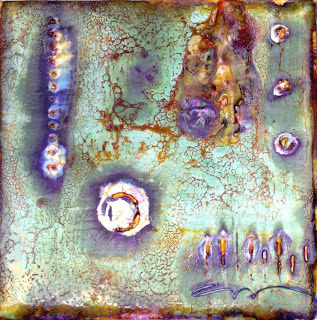 A warm, affable person, Constance initiates lively conversations with viewers and gives them lessons in encaustic technique, as well as the story about the artist who created the work. 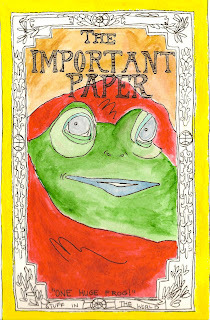 She has created both small and large art forms, some of which can be found at the historic Grove Park Inn in Asheville. A world traveler, she spends most of her time in Asheville and has a second home in Bermuda. Constance has been featured in Verve Magazine, The New York Times, North Carolina Home and Garden Magazine, and various other publications. Her gallery was filmed in 201l for the Asheville Convention and Visitors Bureau’s tourism campaign, and she served as president of Asheville’s historic River Arts District from 2010-2011. In addition to these credits, she’s a wonderful “people person” and believes in engaging with her viewers when they visit her gallery. I came away from the encounter with a small abstract encaustic painting she gave to me and which is now displayed in the living room of our cottage here at Sewanee. this box of translucence on a wall? 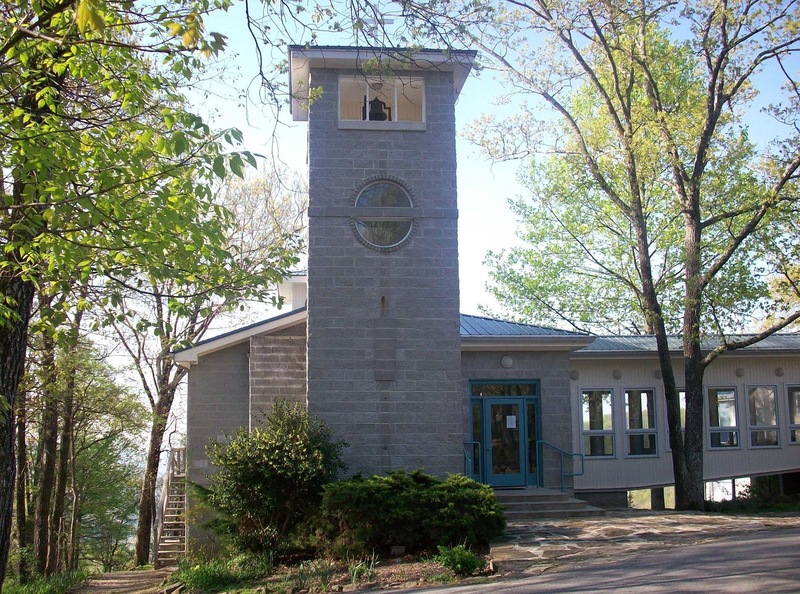 Once a year I attend a silent retreat as an associate of St. Mary’s Convent, which is a gray stone building that houses an Anglican order of Sisters here on The Mountain at Sewanee, Tennessee. For at least two days, we attempt to keep silence, even at mealtimes when people like me, who’re accustomed to the convivial meals in Cajun country, must be quiet. We can’t even say “pass the salt, please,” which could translate, in my southern lexicon, as unmannerly, but simply denotes respect for the deep silence. A smile goes a long way. A nod of the head takes on heavy import. Most of all, during such retreats, we’re exhorted to listen, an almost forgotten practice that helps unblock the transformations that are always hovering on the doorstep of our busy lives. The theme of “A Conversation with St. Benedict and Mary” claimed my attention because it involved the Order of St. Benedict, an order that resides at St. Joseph’s Abbey, Ramsey, Louisiana, just 28 miles down the road from my birthplace in Franklinton. During my childhood, several monks from that order were sent to minister to the congregation at the Roman Catholic Church directly behind my mother’s house, and she, a staunch Episcopalian, spent her last years attending this church. She also provided breakfasts for the priests who served the little mission behind us, sometimes cooking half of a dozen eggs for one Irish priest who had a voracious appetite. As a teenager, I made many trips to the Abbey to fish in the pond beside it and became familiar with Gregorian, or plainchants, being sung at Evensong by the priests and seminarians who lived there. 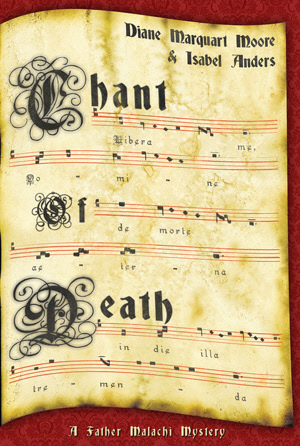 The Rule of St. Benedict has been a guide for Benedictine monasteries and convents for 1500 years, but it also offers laypeople a plan for living a prayerful life. Adherents follow the rule of ora et labor (work and pray) daily. They vow to commit to stability, conversion, and obedience, and I’m particularly mindful of the “conversion” aspect, the idea that conversion is not a one-time experience, but that we remain open to conversion, walking constantly in God’s presence, opening our eyes and ears to convert to the way that God continues to lead us every day. Benedict believed that an open heart calls for a practice of prayer, work, study, hospitality, and renewal. I often read and applaud the work of Esther de Waal, an Anglican who follows and writes about the Benedictine Rule. 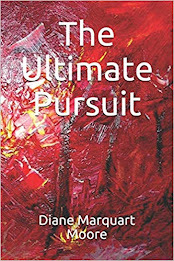 She emphasizes the role of poetry in Benedictine retreats in her book, Lost in Wonder, quoting from Roger Housdon: “[Poetry] dares us to break free from the safe strategies of the cautious mind… surely that is exactly why it has such a vital role to play in any spiritual exploration…” Amen! For me, this brief retreat based on St. Benedict and Mary held at St. Mary’s Conference Center underlined the necessity for cultivating a sense of awe in the middle of frenetic daily life and for delighting in ordinary objects, people, and occurrences… for taking time to renew our spirituality and, as the Benedictine monks and Sisters do, to practice our own form of chanting in thanksgiving for the gift of life. A few weeks ago I talked, via telephone, with my ten-year old grandson Joel who lives in southern California and learned that he had added a new pet to his menagerie of two dogs, one cat, and sometimes frogs – a corn snake! 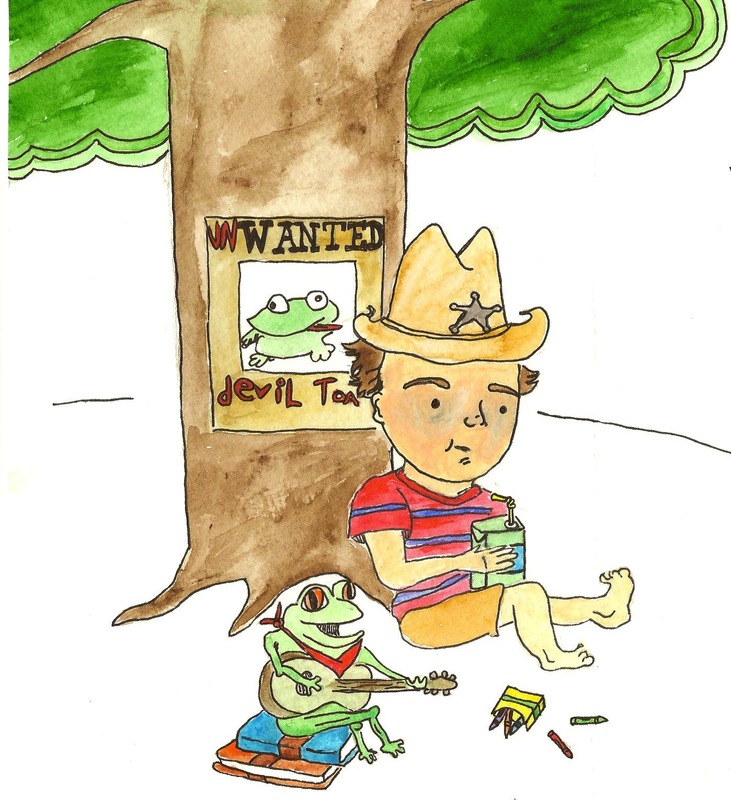 I have known about Joel’s reptile obsession for several years and even wrote a rhyming picture book, illustrated by my young friend, Ben Blanchard, entitled The Beast Beelzebufo, a story about this prehistoric devil frog in Africa that was identified by scientists as the largest frog on earth. I suppose that I could be accused of fanning Joel’s interest in herpetology and shouldn’t complain about his newest pet. But pictures of the coiled red corn snake that I saw online gave me a good case of grandmother willies and sent me scurrying for references on this reptile. Although the corn snake is actually a harmless snake, he looks sinister to me. Joel says that his pet can grow as tall as five feet (just my height) and has a life span of ten years, and he hopes that I can see him one day. However, I'm not anxious to visit while he's raising this pet. The corn snake’s colorful skin attracted Joel, and I understand that the belly scales resemble maize, or, in our lexicon, corn. Early settlers often found these snakes coiled in their corn fields and corn cribs and surmised that they were eating corn, but they were really eating the rats that threatened their corn crop. I think that Joel’s snake has red-to-orange coloring, but I really didn’t question him too closely. I wondered if he was feeding him tree frogs and lizards, two of Joel’s favorite reptiles, which are included in the snake’s diet. I think that he may be feeding his pet rats bought in frozen bulk. The procedure for feeding is that you take the rat from the freezer and allow it to defrost at room temperature, then use tongs to pick up the rodent by the tail and hold the prey in front of the snake so he can strike at it. Sometimes quail eggs can be offered for dessert; however, not on a regular basis. Come shedding time, after the snake’s eyes clear from the white sheen he’ll develop before shedding, Joel will have to soak the snake in warm water – probably in the same bath he once housed the wooden snake where I bathed. This warm water bath enables the snake to shed its skin within 24 hrs. I can visualize stepping on the newly-shed skin, and, no, I won’t be visiting anytime soon. I calculate that this nameless snake won’t die before Joel reaches the age of 20, so Joel will have to travel to Louisiana or Tennessee to see me. However, I may not escape the infamous corn snake. I read that some of them can be found on the salt dome islands near Cote Blanche Bay, some of my favorite haunts when I return to Louisiana every year. This is probably more than you ever wanted to read about snakes. I did write a poem about the new acquisition and have included it, along with pictures from The Beast Beezlebufo – I couldn’t bring myself to ask for a picture of this addition to Joel’s family. to wrap around his loneliness. and silent snakes make good audiences. coiled around their innocent play. indicates the activity of someone who is an inveterate listmaker, a person that others often call “obsessive-compulsive.” However, I’m in good company because such notables as Leonardo da Vinci, Thomas Jefferson, Roget of Roger’s Thesaurus fame, and Benjamin Franklin (who heads the list of listmakers) listed daily. Of course, Franklin often fell behind in his task of checking off items on his various to-do lists, so much so that he had to create another maxim: “Perform without fail what you resolve.” Actually, some writers on the subject of listmakers contend that the author of Genesis was a model lister who wrote a list of what was done in a week’s time at the time of the Creation. I begin my day by making, or looking at a list I prepared the night before. The list is only long enough to cover one sticky note that is posted in the kitchen, but during the day I mark out, crumple up, and remake at least two more post-it lists, each one with the name, time, and place of the tasks, and a huge, dark check mark that obliterates the mention of the task before I throw the list away. In other words, I make plans on sticky notes and tell myself that I am taking control of my daily tasks. And if I don’t accomplish that control, it isn’t because I didn’t make a good list. The truth is that most listmakers create lists because they help them remember things. Lists also bring a little order into an otherwise chaotic day. 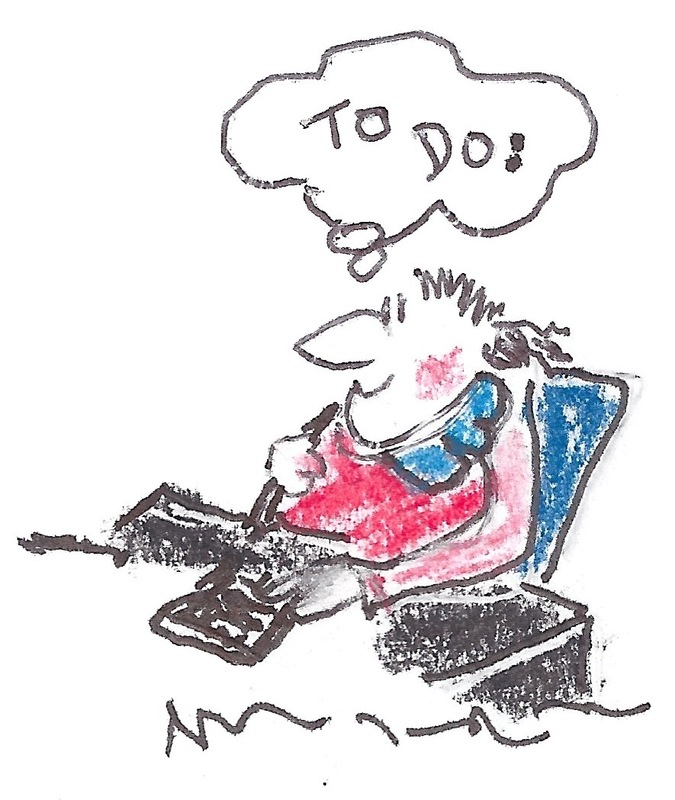 They relieve tension and help us focus on the more meaningful work we plan to do after we have listed the “to do’s.” Lists are actual records of our ability to organize. Of course, some listmakers merely make lists and don’t follow them or do the corresponding action needed. If you’re a procrastinator, making a list doesn’t help because you never get around to the stage of checking off any items. And procrastinators usually don’t feel hopeless enough about their non-completions to get motivated. 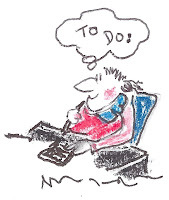 To them, “to do” is ta dum or ho hum. I’ve a notion that listmaking is almost an inherited behavior – or maybe it’s a habit learned from “snooping,” which I guess could be another useful activity. I say this because when my children or grandchildren enter my second home in New Iberia, Louisiana, they surreptitiously glance at the yellow post-it on my kitchen counter and somehow manage to read the entire document with a practiced sidelong look. This, of course, leads to the initiation of conversation – questions like “Why do you have to remind yourself to clean the bathtub at 10 a.m.?” Or “Don’t you know when your toenails need cutting? I mean, really, Mama, do you have to write down the day and hour of such things?” Then, they go home and make a list! My oldest grandson makes extensive lists in perfect draftsman’s print, and his lists are infinite in length, surpassing my messy, short post-its. His lists are perfectly printed to begin with and are on longer sheets of paper, so he doesn’t have to buy as many post-its monthly as I do. I read another article about a serious adviser of listing called The One Planet Education Network, or OPEN, a global online education content provider that promotes listmaking. OPEN advocates that lists simply help us remember what we’ve accomplished and what we need to accomplish. The one list that I’ve avoided making is the “bucket list,” a list of things I want to do before I die because then I’d have to list the time and place of these things as if the grim reaper were just around the corner, and I don’t want to be prodded into that urgency! And, by the way, there’s an actual Listmakers Anonymous for those who feel invalidated because they’re dubbed “obsessive-compulsive” characters and list daily.